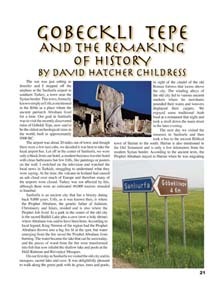 Gobekli Tepe and the Remaking of History by David Hatcher Childress. Published in WEX Magazine Volume 5, Issue 7. Available as a Digital Download.